Thinking about redoing your home siding? Spring might just be the perfect time to do it! Our crews are already busy preparing home siding replacement quotes for many Tri-county homeowners. Many of those first conversations ask the big question: What kind of home siding is the best? Let’s just put it this way: we love being certified James Hardie Contractors. Our team gets excited when home owners make the choice to invest in a siding that stands the test of time. Don’t get me wrong, we install many siding materials and see advantages of each, but there are several reasons we stand behind James Hardie siding. We know Michigan weathers can be unpredictable and even brutal. As a James Hardie contractor, we don’t have to worry about the durability of the products we install. James Hardie siding is more than five times thicker than vinyl. This ensures it can withstand harsh weather, and it won’t warp or crack with time. While some siding can become damaged in high winds or hail, James Hardie siding does not face those problems. Also, this type of siding is resilient to water problems. Wood siding, for example, can absorb water. This may lead to mold, warping, rotting or unnecessary wear. Sealing wood siding can help with this, but requires regular maintenance to avoid problems. James Hardie can endure moisture, freezing temperatures and humidity without any issues. Wood siding is beautiful, but it can be expensive and can be prone to problems. Some insects eat wood. Others enjoy building their homes inside wood. And woodpeckers? Well, they don’t discriminate against homes. They’ll peck a house just the same as they do a tree––leaving holes in your beautiful siding. James Hardie siding, on the other hand, does not encounter any of these issues. Its durability makes it insect and woodpecker proof! product will look good and last. They even have a website that outlines proper installation procedures and tools! The installation process is designed so teams can efficiently install siding on your home in a quick and safe manner. As a James Hardie Preferred Remodeler, our team gets regular training to learn about any new best practices that the company releases. Home fires are scary enough. The last thing you need to worry about is how your home’s siding will tolerate the flames. For many home owners, this isn’t even a thought when getting new siding. However, using James Hardie siding can help protect your home from extensive fire damage. Unfortunately, wood siding will easily go up in flames. Vinyl siding, on the other hand, is likely to warp, sag or melt in a home fire. James Hardie siding is noncombustible and can withstand higher temperatures that other products. Jamies Hardie siding looks like real wood without the hassle. Wood siding requires paint and seal maintenance, whereas James Hardie does not. You can even get pre-painted James Hardie with a 15-year guarantee on the finish! This can save you money on painting services. The siding is also dent resistant, which can be helpful for those rocks thrown by the lawn mower. 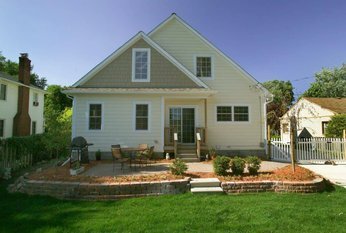 All of these advantages of James Hardie siding make it a wise investment. It’s durable. It’s resilient. It will last longer than other siding products and keep your house looking beautiful. In fact, James Hardie products come with warranties that last up to 30 years and are transferrable to new homeowners. Remodeling magazine has consistently named fiber cement siding as a top investment to increase your home’s value. Our team is proud of the work we do. 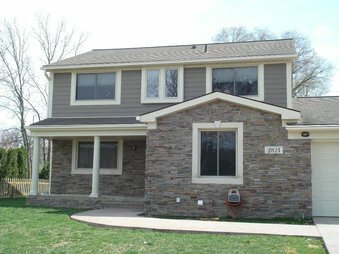 We strive to create beautiful homes throughout southeast Michigan, and James Hardie siding helps us do that. Just look at the vibrant homes throughout this blog that we’ve had the privilege of working on! 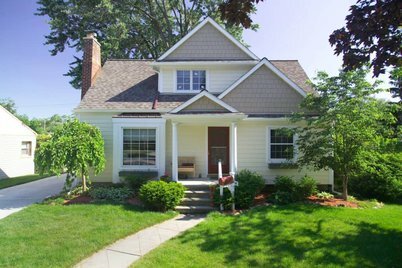 Does your Michigan home need new siding? Our James Hardie Contractors can help!